It was such sad news that Joe Parham had passed a few months back. 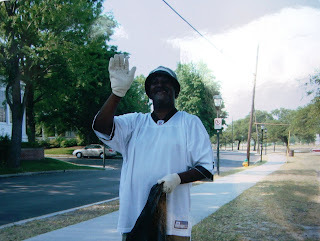 He was such a force when it came to litter prevention and trash collection. 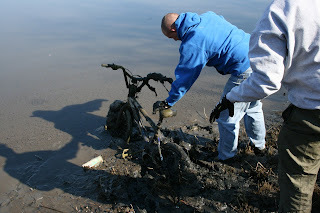 Kim Rose had supported Joe through Hope House Foundation and had worked with Joe to organize and clean many spots around Hampton Roads. As of late, Kim and I had partnered for big clean ups to pick up tons of trash and recyclables from Barraud Park and watershed. 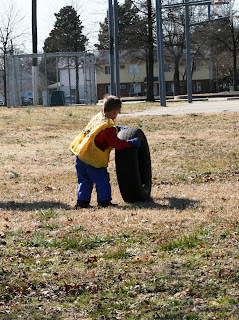 In Joe's honor, we organized a group clean February 21 at Barraud Park. 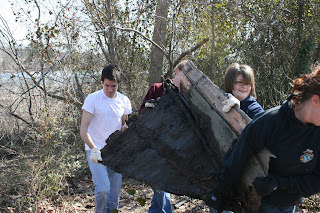 Normally, we have about 30 to 40 people come out to our clean-ups, but this time we had well over 100 on hand to get down and dirty. 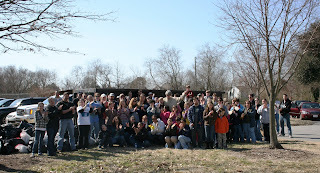 It was an amazing turn out! Thank you to all who participated! Please check out some action shots below.